We concluded on November 1st, 2018 that gold appears to be an attractive investment during the next few years. That assessment remains by and large valid. Gold gained roughly 7% from its mid-August low. Price action unfolded a relatively weak and choppy upside trend, which is depicted by the pale blue channel in the very first chart below. We concluded on November 1st, 2018 that “price action is likely to unfold to the upside if $1,240 gets crossed up again”. That assessment remains valid. Taking out the previous high opens the door for an attack on the $1,260 figure. This price action transforms the entire swing from the mid-August low into a motive wave. A motive wave gets most often followed by at least another motive wave into the same direction within the Elliott wave framework. It is most likely the case within the distinct setup for gold at this stage. The precious metal is very close to surpassing $1,240 to the upside. It approached the figure on increasing momentum as we write this article. Increasing momentum is most often a useful hint for more price action into the direction of the trend. 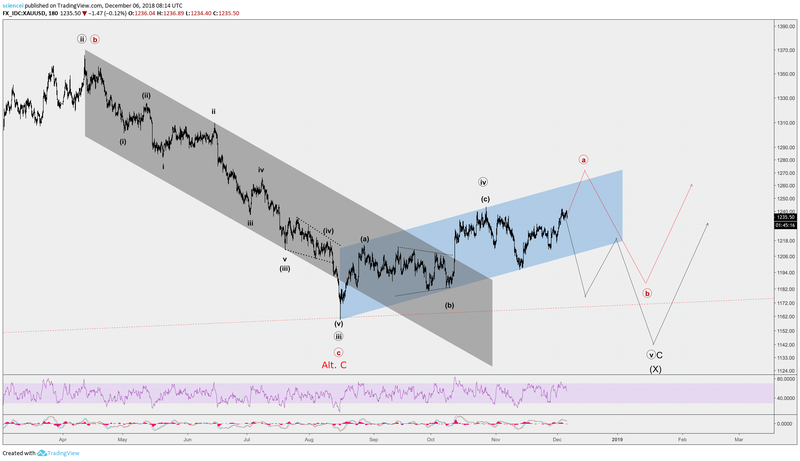 Hence, gold will probably unfold a bullish motive wave eventually. 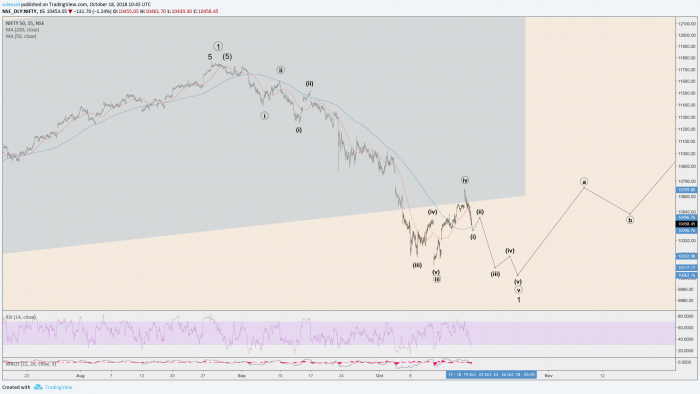 A motive wave at this junction is the next piece of evidence that a cyclical trend change occurred at the mid-August 2018 lows. The ingredients that started cyclical trend changes historically may also add up today. Sentiment readings were depressed throughout the entire precious metal spectrum during the past few months. The chart below shows the latest CoT data. The CoT report outlines how different types of traders are positioned in the futures markets. Speculators were significantly underweight gold lately. They are likely to change their stance as soon as they identify that a trend to the upside forms. We are fully aware of the skepticism towards technical analysis. Many investors believe that markets are driven by fundamentals only. We do not agree with this point of view. Neither do some of the most reputable investors of our time. Stanley Druckenmiller, George Soros, and Paul Tudor Jones are just a few examples. They disclosed in books and interviews to include technical analysis in their decision-making process. Last but not least, there is no lack of fundamental narratives that could channel liquidity into gold. We have outlined our bearish expectations for the economy and equities throughout our past articles here. Further losses in stocks could trigger some reallocation of funds into precious metals. After all, gold is widely perceived as a safe haven. Disclosure: This idea was distributed to our clients on December 5th, 2018. Ready For The Nifty 50 Crash?